Printed and non-printed PE, PP film BOPP, CPP, multi-layered film, shrink film, stretch film, PE and EPE foam. Washed and dried film flakes from washing line. Thermoformed PS, PP. Soft irrigation pipe. PP raffia, woven, non woven, FIBC/jumbo bags, blown film star-up lumps Film scraps. PP fiber, yarn, tapes. Injection moulding parts, solid lumps. Thermoformed PP products. Super compact, easy to install. Fits right next to blown film or bag making machines. Waterless. 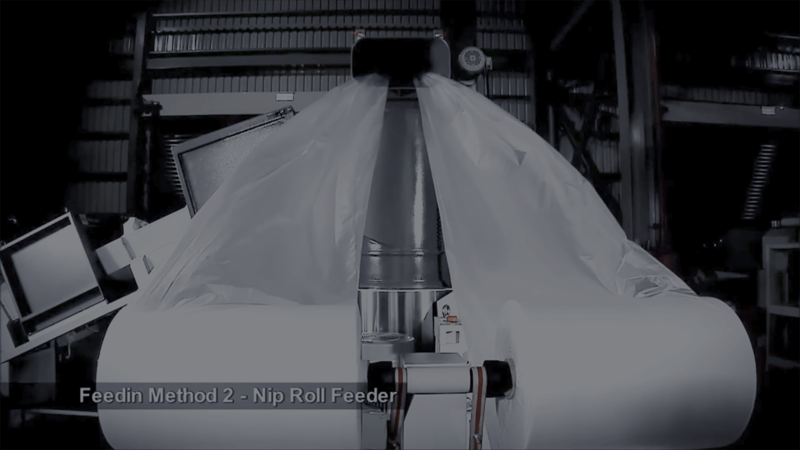 100% dry pellets Lower machine cost and fast return on investment 100% automatic feeding for film-on-roll. Still cannot find the machines that you are looking for? 2 years after the first installation in 2015, the Colombian recycler has decided to increase capacity by adding two more POLYSTAR recycling machines in 2017 in the cities of Barranquilla and Bogota. 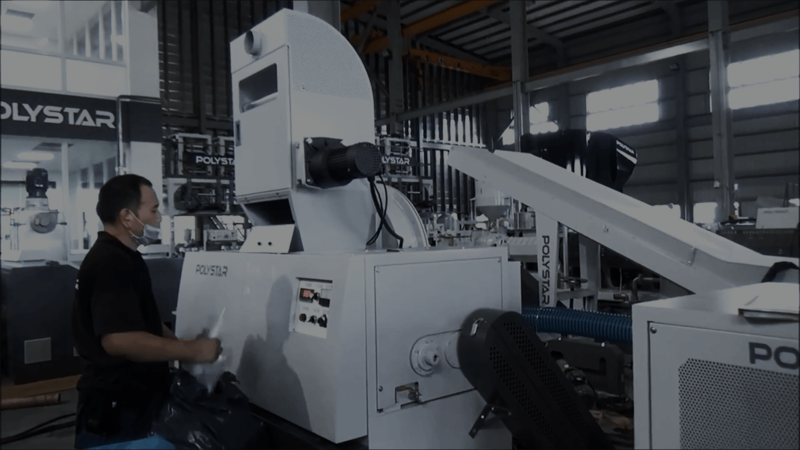 Located in Tokyo, the professional PE film recycler has installed one more POLYSTAR HNT-120V recycling machine to process 400~500kg/hr LDPE and HDPE post-industrial film waste. The industrial waste is collected from local plastic factories that produce various types of bags, both printed and non-printed. 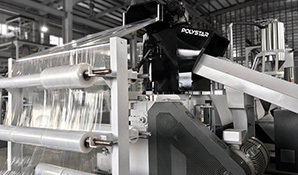 As the largest LLDPE stretch and PE cling film producer in Taiwan with monthly production of 3,000 tons (achieved with several 5-layer cast film machines from Germany), in-house recycling is valued highly by the 30-year-old film producer as part of the production process to ensure quality and consistency in the end product remain high. 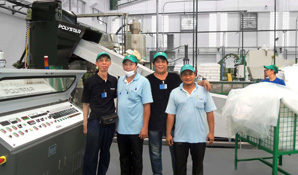 With more than 1,200 professional staffs and over 60,000 square meter factory space, the export-oriented PE bag producer located in Thailand has decided to go for POLYSTAR’s recycling machine to upgrade it’s current in-house recycling process. The machine layout (picture) is for reference only. The actual layout changes depending on the optional devices (metal detector, centrifugal dryer, nip roll feeder, venting option, filter option and machine cover option) that the customer chooses. What are POLYSTAR’s recycling machines mainly used for ? 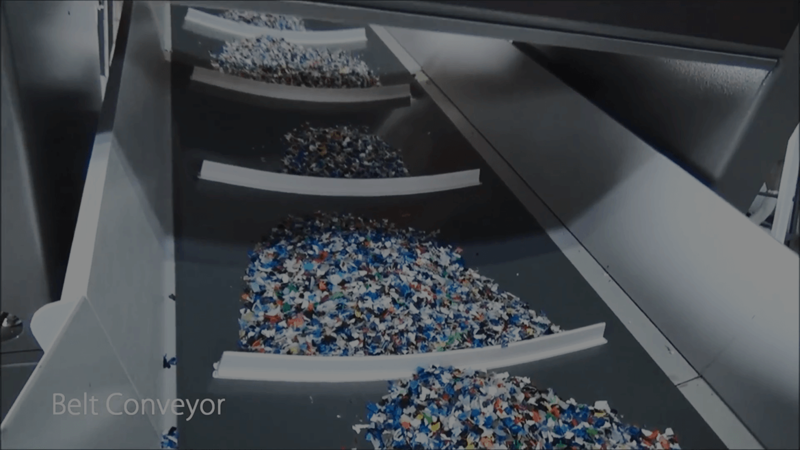 POLYSTAR recycling machines have helped thousands of worldwide plastic producers to reprocess their post-industrial (in-house) waste back into high quality pellets in a simple and easy way. Clean, defected factory waste generated from production of film, raffia and injection regrind can be recycled efficiently and put right back into your production lines. This means less amount of new (raw) material needs to be used in your production and thus reduces production cost significantly. *PET bottles are not applicable on POLYSTAR machines. Our machines can only process HDPE milk bottles. Which recycling machine is best and most suitable for my business? - POLYSTAR provides different recycling technology with various shredding/cutting systems based on material type and industry (film, raffia, injection, post-consumer). - Small to big production output range (from 50kg per hour all the way up to 1,000 kg per hour) are available depending on the production capacity you require. How do I receive a quotation from you ? 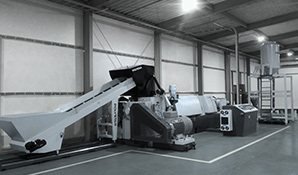 How easy is it to operate a POLYSTAR recycling machine? 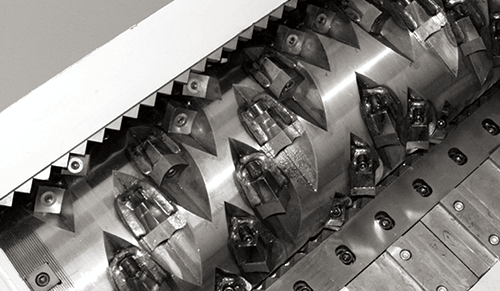 For 30 years we have designed our machines to be simple and focus on what’s most important for plastic producers who are looking for an easy and stable operation. 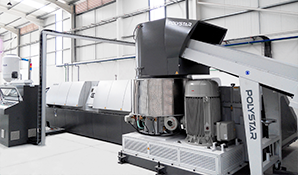 We focus on user-friendliness of the machines through continuous re-engineering and making recycling extremely simple for the users - Easy operation and maintenance is the key value and core competence of POLYSTAR recycling machines. Even if this is your first recycling machine for your factory, your operators can manage to learn how to use it within a very short period of time. This have been proven in thousands of users in 103 countries. 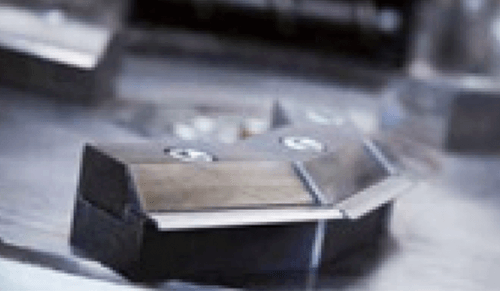 Spare parts - how are consumable spare parts managed ? Upon machine delivery, a detailed user manual is provided including a list of all the mechanical spare parts with clear and organized labels that can be easily identified, ordered and replaced later on. In addition, the Online Spare Parts system allows customers to place spare parts quickly and easily. There is also a list of free, commonly-used standard spare parts that POLYSTAR supplies to all of its customers along with the machine purchase. Warranty - what is the warranty offered on the POLYSTAR machines ? POLYSTAR provides 1 year warranty on the machine mechanically and six months on all electrical components. All POLYSTAR machines are powered by the best available electrical components from world-class companies. 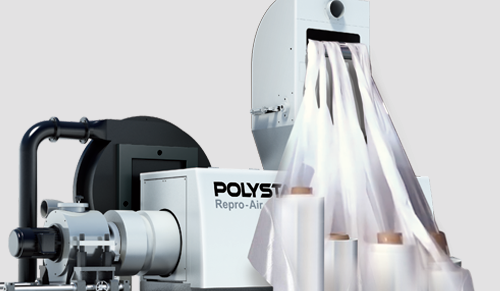 How does POLYSTAR’s in-house (post-industrial) recycling help my plastic business ? There are many advantages of in-house recycling, especially with the POLYSTAR machines. High Quality recycled pellets - Up to 100% reusability back into your production line. Post-industrial waste generated from production of film, raffia and injection regrind can be recycled efficiently and put right back into your production lines. Meaning less amount of new (raw) material needs to be used in your production and thus reduces production cost significantly. Lower power consumption - thanks to excellent screw design and energy saving motors, you can produce more kg/hr using less energy. Lower production and logistics cost - POLYSTAR machines are both labor and space saving. 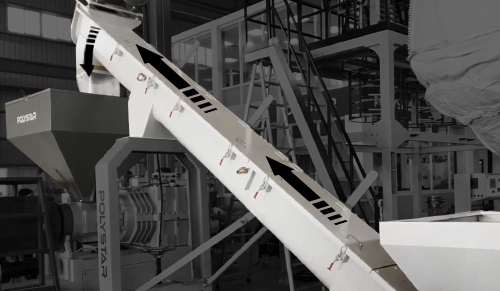 Engineered for easy operation - POLYSTAR’s recycling machines are extremely simple to operate and can be easily integrated into your production line. Where can I see a POLYSTAR machine ? International visitors are also welcomed to visit POLYSTAR’s manufacturing facility in Tainan, Taiwan where hundred of recycling machines are produced every year. Our experience, your advantage - 30 years of manufacturing experience focusing on user interface and customer feedback. We continue to develop simple solution and technology to avoid the unnecessary complexity in operation. Is overseas machine installation and training available ? 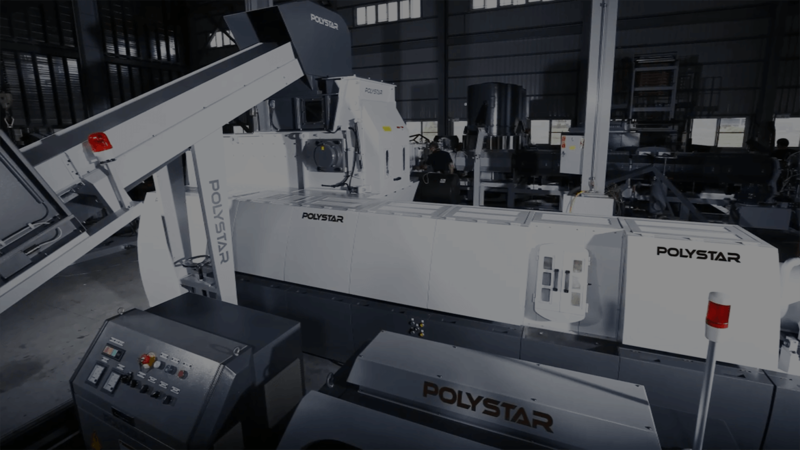 Yes, POLYSTAR can send an experienced technician to assist with the assembly and start-up of the machine and provide basic training and maintenance guidance to your operators. Under normal circumstances the installation and training can be completed within 6 working days.